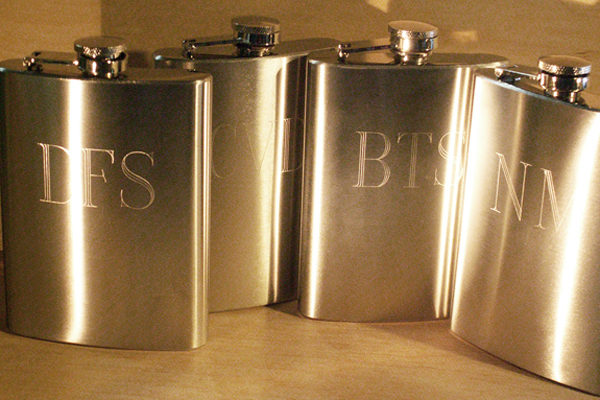 Top Personalized Gifts for the Holidays! It's the most wonderful, and possibly the most stressful time of the year. As the holiday season draws nearer, the anxiety sets in on what to get those special people on your list. It's always been our rule of thumb that quality is better than quantity, but personalization beats all. If you want to get that special someone a gift they'll really like, get personal. Check out our list of the top personalized gifts of the season. 1. Drinkware. If you keep reading this post, you are going to think we have a lot of alcoholic friends. But we don't just mean alcohol. These work great for those who love tea, coffee, wine (that's not alcohol), and whiskey (definitely alcohol). Decorate a mug, glass or flask and customize with their favorite quote, initials or name. 2. Signature Wall Decals. Perfect for children or families. Customize these decals to match someone's name, initials and the colours of a room. Perfect for front hallways or bedrooms, from babies to college aged kids. 3. Jerseys. Know an avid sports fan? 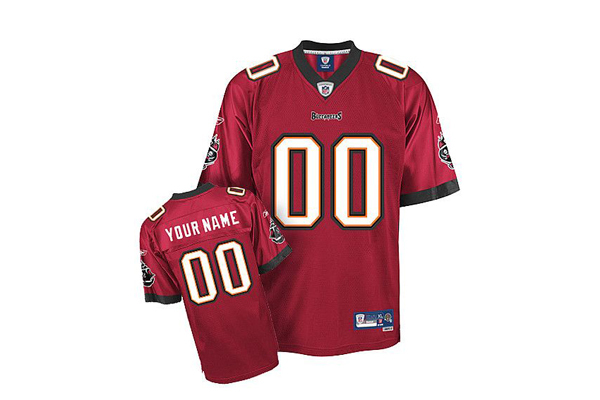 Personalize their favorite team's jersey with their own last name. It's a practical gift they can wear while watching the game or playing the game. 4. Phone cases. Almost everyone and their dog has a smartphone these days. 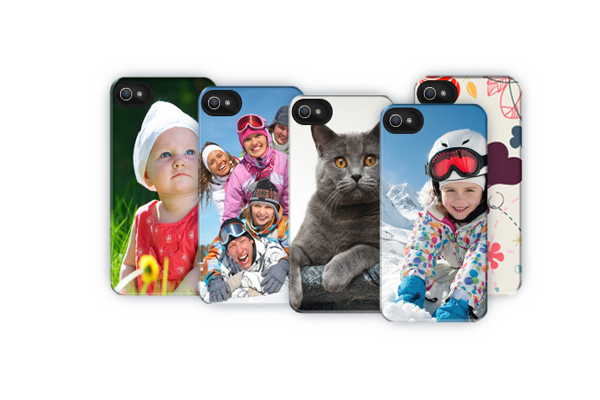 Help them protect their device with a custom phone case. You can create cases online that are personalized with Instagram photos or images and text you submit. 5. Wine bottle label. This one is easy to DIY. 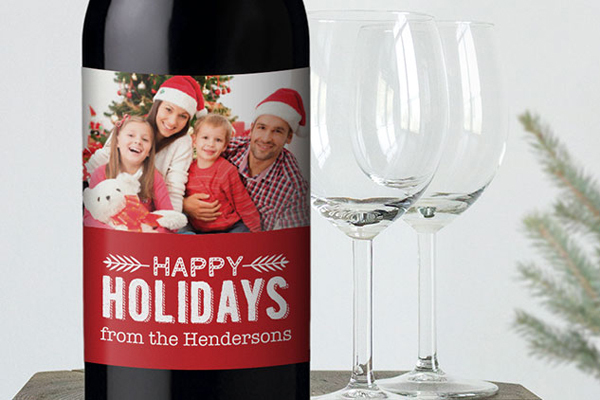 Simply oak the label off their favorite label, then create your own custom wine label with images or text you want. They'll think of you while they are enjoying a glass. Will work with any bottled beverage. 6. Coasters. To go with the rest of your custom drinking paraphernalia. 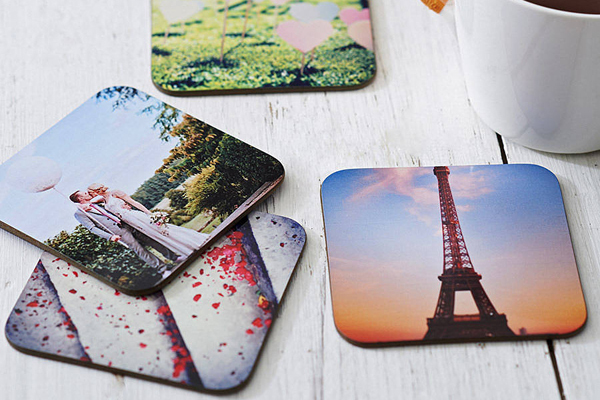 DIY your own coasters with photos, modge podge and cork backing or upload photos to an online company to create your own. Create sets for different seasons or different people on your guest list. 7. Books. 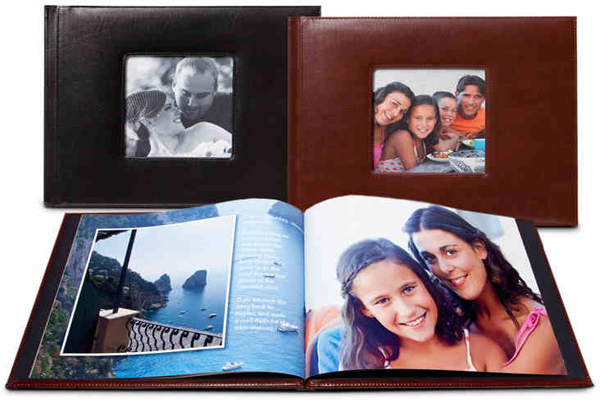 there are a number of places where you can upload photos and have custom photo books made. Great idea if you've all been on a trip together lately. So much better than a Facebook album. 8. Ornaments. Know someone obsessed with the holidays? 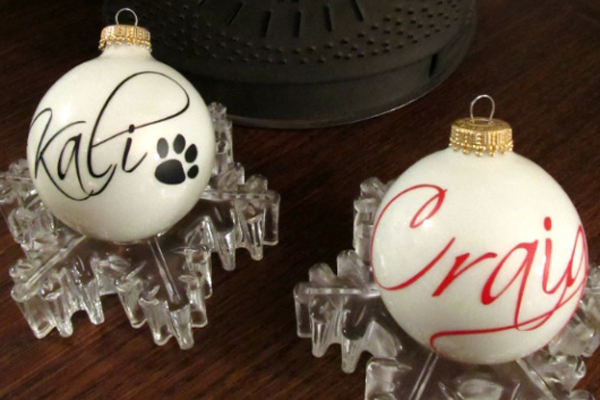 A specially made ornament with their name is an item they will use year after year. These are easy to make yourself as well. Low cost and high sentimental value. 9. Notebooks. Writer, list maker, artist or doodler in the family? 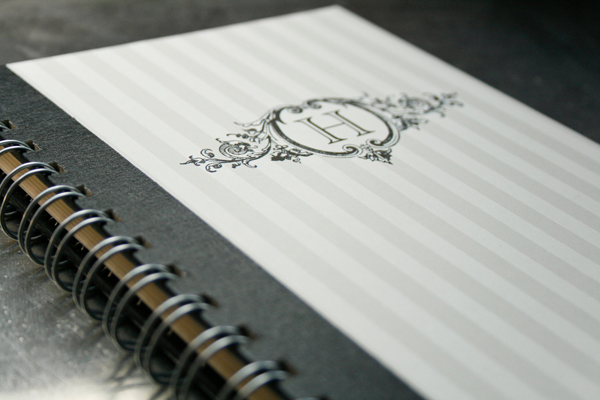 A notebook stamped with their own initials or name is an awesome gift. It's personal, affordable, and you can be sure they will use it. 10. Custom Frame. Have a great photo you'd like to use? 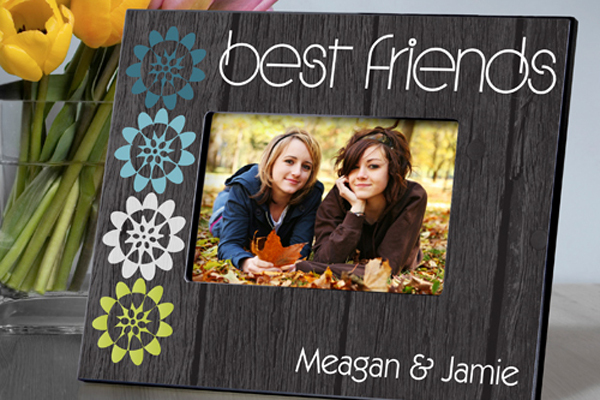 Make it even better by decorating a picture frame with custom vinyl stickers which denotes the image you use. You can buy them from a custom framing store or roll up those sleeves and make it yourself quite easily. Are the ideas flowing now? You're welcome. Time to get crafty or start that shopping. Happy Holidays folks!